I knew going in that this RAM wasn't the best timing-wise, but with timings more or less a thing of the past I went for 2 sticks of red LED and 2 sticks of blue. They alternate on and off and look good with the rest of the build. They made the SPD just fine, but I'm taking 2 stars off for a command rate of 2T. 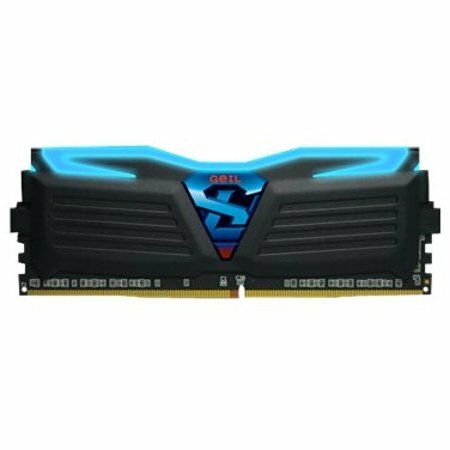 Fantastic looking RAM, at a great price! The pulsing lights look great too. I have had a few issues with this ram. I occasionally get bluescreens for zero reason whatsoever. I cannot Identify the issue, I feel like it is mainly software, but I am not too sure about it. Doesn't overclock very well. Also has a very low clock speed. I wasn't aware of Ryzen benefiting from higher clock speeds until I had already bought the kit from Newegg. Best part about the ram is the lights, which are somewhat cool, they pulse depending on the current temperature of the ram itself.